This absolutely charming couple came to The Billington Partnership via recommendation. 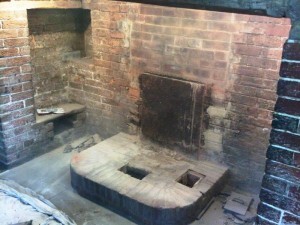 They had a problem with their existing inglenook fireplace in the living room. It had almost caused a fire in the house. They required a safer as well as more efficient solution. 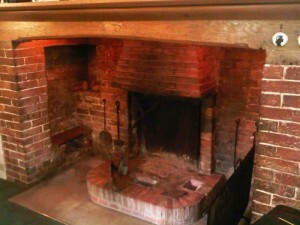 We presented the client with many suitable options for the inglenook fireplace and heating issue. 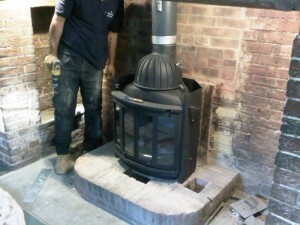 In the end they decided upon the Nordpeis N25 inglenook stove. 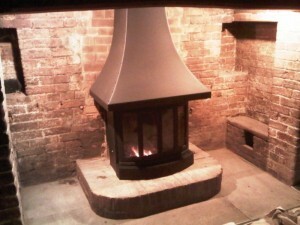 The Nordpeis Heritage N25 stove is designed for installation in inglenook fireplaces. 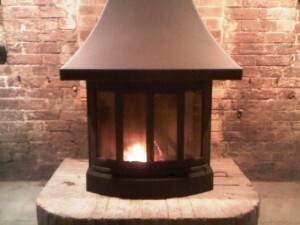 It is the ideal stove for those who want the look and feel of an open fire, but with the greater efficiency of a stove. This is what the client liked. The way the stove delivered the option of having the doors opened or closed, consequently benefitting from the convected heat and the radiant heat. The installation was broken down into three parts; removing the existing brick hood and canopy, bricking up the subsequent hole left by the hood and then finally installing the Nordpeis N25 stove. 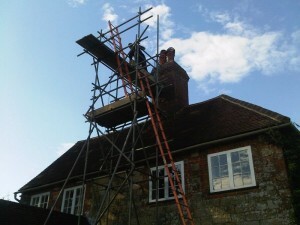 We organised for scaffolding to be erected to enable us to access the top of the chimney stack. For this installation, we used Chimwrap to insulate the liner to keep the gases hot before the exit the terminal. Finally, the couple were extremely pleased with the end result.